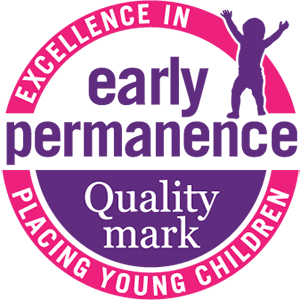 There are 7 Quality Descriptors associated with the Early Permanence Quality Mark. The descriptors capture key elements of early permanence delivery. They will assist agencies in their early permanence delivery and in their application. The descriptors are also used to guide the independent moderators in their review and decision on applications. The descriptors are sector informed and are intended as ‘triggers’ for agencies during the application process. Q1 How does the agency demonstrate the rights and practice principles underpinning Early Permanence? Q2 Show how your agency operates with others to promote positive outcomes for children through the early permanence planning process. Q3 How does the agency show a robust approach to legal and planning process and early decision making? Q4. How does the agency approach the recruitment of EP carers, their training and support in the Early Permanence process? Q5 How does the agency engage and support birth families and relatives as part of the Early Permanence Process? Q6 How does the agency demonstrate consistency and effective delivery of child contact arrangements with family and friends? Quality Marker 6: Managing and supporting Child and Family Contact arrangements in early permanence. Q7 How does your agency show effective leadership of early permanence to optimise benefits for children?